Yesterday, on the one-year anniversary of the death of Michael Brown that fueled the Ferguson riots and the Black Lives Matter movement, presidential candidate Sen. Bernie Sanders (I-Vt) unveiled a new “Racial Justice” platform. 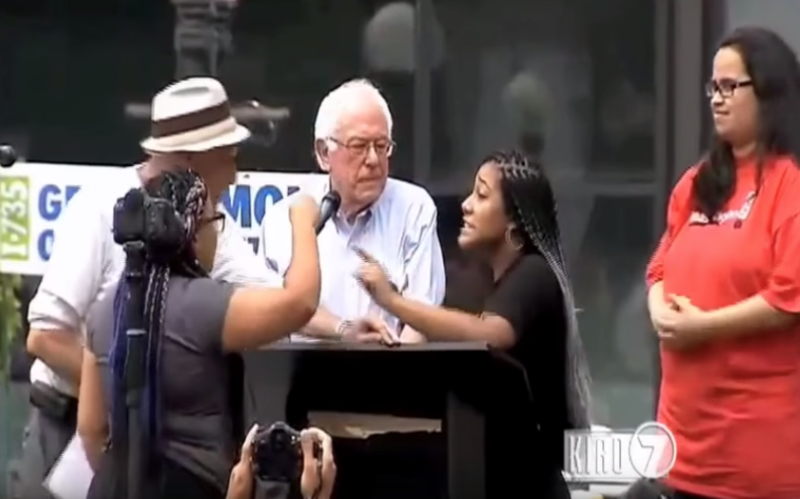 Sanders’ platform includes having Black Lives Matter protesters help “reinvent how we police America,” the proclamation that America is worse than the “Communist totalitarian state of China” in terms of incarcerations rates, and providing “free” college tuition. On the issues page for “Racial Justice,” Sanders lays out the different kinds of violence he believes “people of color” experience, which includes physical, political, legal, and economic violence.